BRUSSELS: Catalonia’s parliament meets for the first time on Wednesday since it was dissolved following a failed attempt to break from Spain – but without sacked regional leader Carles Puigdemont who is in self-imposed exile in Belgium. Separatist parties won regional elections on December 21 called by Prime Minister Mariano Rajoy to try and put a stop to a crisis that shook the wealthy region of 7.5 million people, the rest of Spain and Europe. 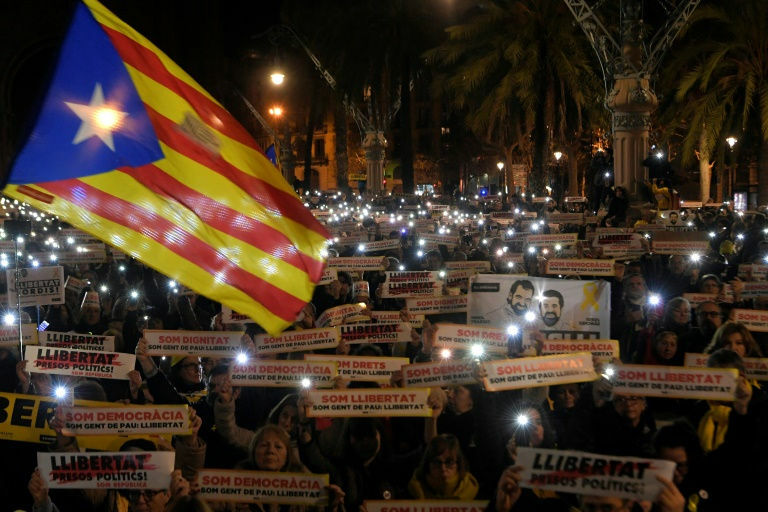 With an absolute majority of 70 of the 135 deputies in the assembly, the pro-independence parties should in theory have the necessary votes to nominate a separatist president. Their favoured candidate is Puigdemont, sacked by Rajoy along with his cabinet on October 27 after the regional parliament declared unilateral independence. Late on Tuesday, the two largest pro-independence parties said they had agreed to nominate him as their candidate. The separatist ERC party and Puigdemont’s Together for Catalonia grouping reached a deal to support him “as candidate to be president of the Catalonia region”, a joint statement said. The new parliament is to meet at 11:00 am (1000 GMT) and the separatists are expected to begin the complex process to allow Puigdemont’s investiture by the end of the month. But their majority remains theoretical, with three of the 70 deputies being held in prison as they are probed for rebellion, sedition and misuse of public funds for their role in the failed independence bid. Five others are abroad, including Puidgemont who risks arrest on the same charges if he comes back to Spain. To be elected president, he should in theory be present at the parliamentary session where the vote to name a new leader takes place, but he wants to appear by videolink or write a speech and have it read by someone else. It does not detail whether this must be done in person, but several legal experts, the opposition and the central government insist it cannot be done remotely. Rajoy’s government has warned Madrid will maintain direct control over Catalonia if Puigdemont attempts to govern from Belgium. Madrid’s direct rule has proven very unpopular in a region that had enjoyed considerable autonomy before its leaders attempted to break away from Spain. In response, Rajoy seized control, sacked Catalonia’s government, dissolved its parliament and called snap elections in December.